The Kiddo Travel In Style Too! OkieDog Wildpack Rolling Luggage – Elephant Review! 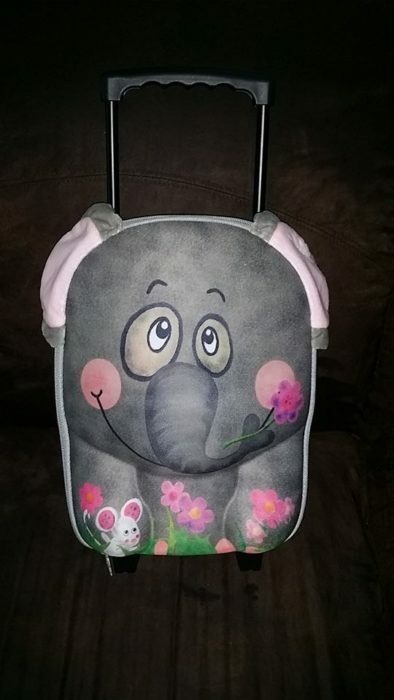 I received the cutest lil rolling suitcase for my Ariy-Mae, the OkieDog Wildpack Rolling Luggage – Elephant. She loves it, it is just the right size for her, and the character face is just adorable. These retail for only $34.99 and ships free with Amazon Prime. She had fun packing it to go to her dads house, I could tell it made her feel a little more grown up, and she had a lil pep in her step when she was walking out to the car to meet him.